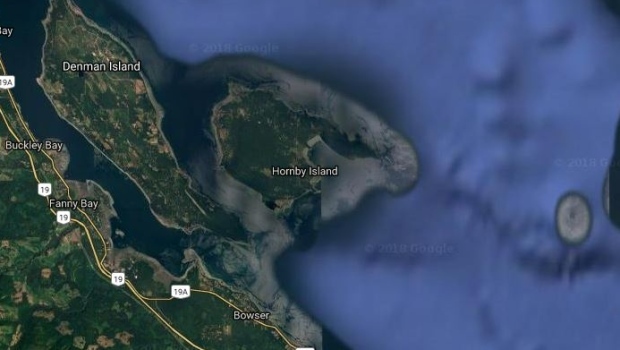 Hornby Island is shown in an undated Google Map satellite image. VICTORIA - Hornby Island, B.C., trustee Tony Law, who was only re-elected last week, has announced he is stepping down from the position. A news release from Islands Trust, a federation of local island governments, says the resignation stems from “allegations of a personal nature,” which have recently come to light. Law has been a trustee for Hornby Island since 1996 and has been the chairman of the Islands Trust Conservancy since 2011. A spokesman for the trust says no details of the allegations will be made available, but Trust Council chairman Peter Luckham says given the allegations Law felt it would be best to step back from public life. Law's resignation will trigger a byelection on Hornby Island. The Islands Trust represents 25,000 residents on 13 islands within Georgia Strait and another 10,000 non-resident property owners.